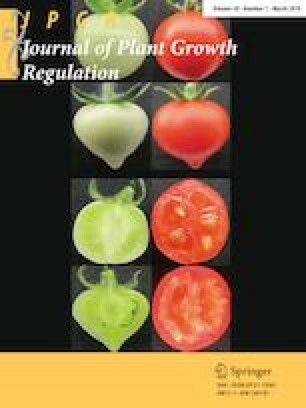 Experiments designed to quantify the physiological and metabolic status of Arabidopsis thaliana seedlings across their photoperiod used wild-type (Col-0) and genotypes deficient in starch biosynthesis (adg1-1, pgm-1) and in starch degradation (sex1-1) in combination with radioactive 11CO2 tracer. Measurements of root allocation and root exudation of 11C-photosynthates were conducted at 1 and 8 h into a 10-h photoperiod. Additionally, bioassays conducted on leaflets provided a measure of ‘new’ carbon partitioning (as 11C) into structural and non-structural carbohydrates. As expected, starch biosynthesis increased across the photoperiod for Col-0 controls. This increase was correlated with systematic decreases in soluble sugar synthesis and sink allocation across the photoperiod. We showed that this was a causal effect, which could be eliminated in the adg1-1 and pgm-1 mutants that were deficient in starch biosynthesis. Furthermore, these genotypes exhibited systematically higher levels of soluble sugars and sink allocation relative to Col-0 and sex1-1, which resulted in very different root growth traits including (i) increased root area balanced by shorter primary roots; (ii) increased number of lateral roots; and (iii) decreased root gravitropism. These differences in growth traits were correlated with higher observed levels of root auxin in these genotypes and to lower starch levels in their root tips. In a broader context, we find that carbon storage in the aboveground tissues can strongly influence root growth and root architecture belowground. The online version of this article ( https://doi.org/10.1007/s00344-018-9824-9) contains supplementary material, which is available to authorized users. This article has been authored under contracts DE-SC0012704 in support of the Radiochemistry Program with the U.S. Department of Energy (DOE), which supported R. Ferrieri and M. Schueller in this effort. A DOE training grant through the University of Missouri (Grant No. DE-SC0002040) supported L. Song, and the DOE SULI Program supported B. Agtuca on this project. We also would like to acknowledge the MU Molecular Cytology Research Core Facility for helping with the microscopic images of root tip starch granules. LS and BA conducted the laboratory tracer studies. MJS produced the isotope and assisted with the design of plant tracer boxes. SSJ and GS helped with data interpretation and with manuscript editing. RAF designed the tracer studies, managed the workflow, interpreted the data, and wrote the manuscript.